The culmination event of the Fringe-long Card Game! Throughout the Fringe, seek out a Matt and request his card. If you collect ALL SEVEN of the Matt Cards during Fringe, you will be permitted into a special Matt The Gathering and receive a prize. Exposition Review presents a hybrid reading & writing workshop focused on crafting short plays. 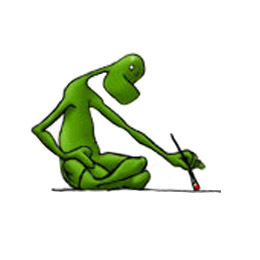 After a staged reading of published dramatic work and a brief discussion with writers and directors, we'll turn the tables on our audience who will get the chance to write their own short play. 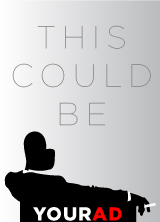 So, you've been asked to Stage Manage a Fringe show? Now what? Learn from veteran Stage Managers the must-know strategies and tools to Tech & Stage Manage a Fringe show! 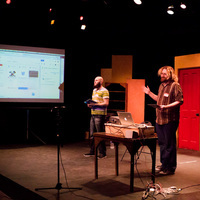 From time-saving tips to a beginners lesson in Qlab +more - LET OUR YEARS OF EXPERIENCE MAKE YOU A BETTER STAGE MANAGER! Come drink and enjoy some of the best bands in Los Angeles! Every Wednesday night at Three Clubs. The Alliance of Los Angeles Playwrights (ALAP) invites all Fringe playwrights for drinks and snacks at a private home in West Hollywood. Socialize with your fellow playwrights and tell them all about your show! Welcome to the "new" Roaring Twenties! Learn the basics of the partner dance craze the "Charleston" that took the world by storm in the 1920s. John Reynolds and Darcy Rose Byrnes will help you welcome in 2020 with moves to ring in the New Year with retro "20s" flair! Everything old is new again! Learn basic stage combat with award winning fight choreographer Jen Albert. Known for her work in Fringe shows Punch and Judy, Edward II, Hercules Insane and Klingon Tamburlaine. Miss Marquez curates the best sultry jazz and burlesque LA has to offer! 10PM - Midnight. 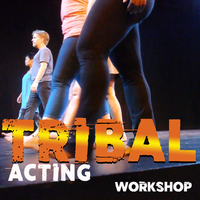 Tribal Acting is a 90-minute physical-based workout incorporating elements of Viewpoints, including gesture/song/text, all accompanied by live percussion. All levels welcome. Workshop led by John Wuchte, creator of this years fringe project Scarlett Fever. 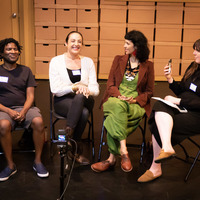 Come laugh and learn with 2019 Fringe Artists who are "chronologically gifted" - bringing a lifetime of experience onstage – and hear from a panel of professionals about the value of telling our stories throughout our lives. In this participatory workshop with internationally acclaimed physical theatre artists Jordan Rosin and Yokko, students will use principles from diverse theatrical traditions like Butoh Dance to cultivate the awareness, creativity and articulation necessary to move, devise, & dance with resonance.